Featuring recycled content, specialty jacquards, and metallic sheens, Sunbrella Decorative Shade fabrics deliver unique detail and subtle texture. Under the Sunbrella name, they offer famous longevity. 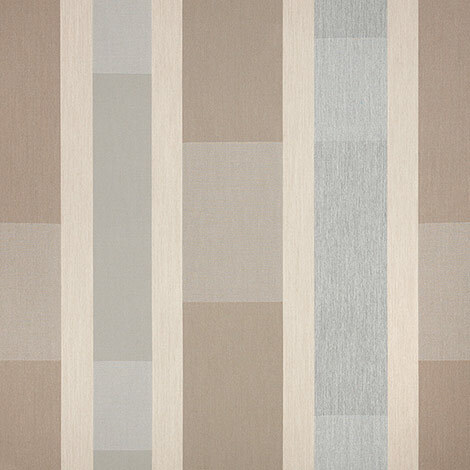 Avenues Daytime (4410-0001) brings a beige and grey geometric look, ideal for decorative shade applications where the need for an architectural aesthetic outweighs the need for complete protection from the elements. Avenues Daytime can be utilized for all types of awning purposes, including commercial awnings, window awnings, patio awnings, umbrellas, and more! This fabric is mildew resistant, heat sealable, and water repellent. Warranty: 5 years. Width: 54 inches. Weight: 10.3 osy. Sold by the yard.